MSI GE73 Raider RGB 8RF 17"
TAKE ON THE COMPETITION, LIGHT ‘EM UPThe MSI GE73 Raider RGB 8RF is packed with advanced technologies to make sure you have the best possible experience on a small form factor gaming laptop. Equipped with a powerful 8th Gen i7 Processor and a graphics enhancing Nvidia Geforce GTX 1070 get ready to game on a mobile platform with outstanding quality. Stand out with the RGB effects available to you with multiple setting and configurations for you to personalize. With a fast 120Hz 3ms panel the MSI GE73 Raider lets you see every detail even in fast and dynamic scenes. 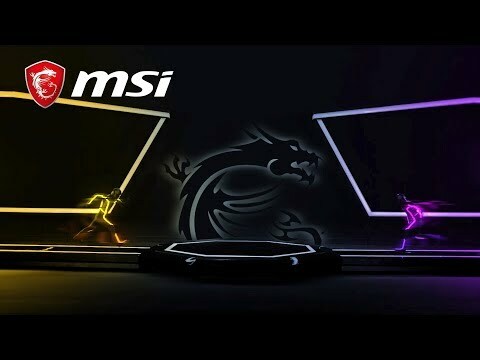 All this power is fine-tuned by the MSI Dragon 2.0 software allowing you to tweak your laptop’s graphical power and with the efficient cooler boost technology you can make sure you’re getting every last bit of it. Also take your gaming to the next level with this VR ready machine and let yourself be immersed in the technology of Virtual Reality. THE LATEST GENERATION POWER ON THE GO Take a huge leap in performance with the 1st-ever Hexa Core notebook processors! Experience boosted gameplay and faster rendering by up to 40% with the extra cores. With 6 cores and 12 threads with a CPU Boost of upto 4.1GHz you can be sure you are getting the power you need for applications and games on the go. HIGH DETAIL GRAPHICS WITH SMALL FORM FACTOR With the innovative Cooler Boost 5 cooling solution and MSI’s exclusive gaming features catered for gamers, the NVIDIA's latest GeForce GTX 1070 GPU releases its full performance completely on MSI gaming laptops. 3D performance of GeForce GTX 1070 GPU is better than previous generation’s GeForce GTX 970M graphics. RGB PROGRAMMING YOUR WAY The Raider comes with Per-Key RGB customization giving you ultimate control over keyboard illumination. Program each key with the SteelSeries Engine 3 application and receive real time game stats through your keyboard. Set your keys and customize colour profiles with various different effects ranging from Horizontal Wave’s, Warp Drives’s and settings that take effect depending on genre of game you are play. PERSONALIZE AND SHOWCASE YOUR STYLE The brand new GE Raider RGB comes with cover and keyboard lighting, giving you the finest control over illumination. The two parts can be linked or controlled separately, creating virtually endless combinations in 16.8 million colours. The Raider comes with Per-Key RGB customization giving you ultimate control over keyboard illumination. WIN BY A MILLISECOND FASTER WITH A 3MS RESPONSE TIME A gaming laptop that provides Full HD at 120Hz refresh rate and 3ms response time panel, this is the go-to companion you can count on to never lose a detail during chaotic gameplays. The level of realism is drawn from the panel’s ability to produce up to 120 picture frames per second, topped with 94% NTSC Colour Gamut calibration to bring you the most vibrant visuals for your ultimate entertainment pleasures. EMBRACE THE ENTHUSIAST LEVEL VIRTUAL REALITY EXPERIENCE The perfect combination of MSI gaming laptops and Nvidia graphics from GTX 1060/1070 and 1080 shall bring you the enthusiast level of VR experience. Certified by both Nvidia and VIVE, MSI is the 1st VR ready gaming laptop brand. Providing an exceptionally smooth, powerful mobile platform for ultimate VR games. Perfect for you to immerse in the amazing artificial world and explore new ways of gaming. MULTI-TASK WITH UP TO 3 MONITORS Expand the vision for extreme gaming experience. MSI innovative Matrix Display supports up to 2 external displays simultaneously through 1x HDMI port and 1x Mini DisplayPort 1.2. Multi-task is made possible even during competitive gameplay. Connect the laptop to HDTV display, Matrix Display supports 4K output with a resolution up to 3840 x 2160. This technology creates an ideal environment for extreme gaming experience and pleasant multimedia entertainment. TRUE COLOUR 2.0, CLOSING IN ON PERFECTION Nothing is perfect, but closing in on perfection is as close as it gets. MSI True Colour Technology, partnered with Portrait Displays, Inc. spawned a new height for the display technology. Each panel will undergo thorough examinations and an extensive factory calibration process so that each colour is presented with the utmost precision in details, guaranteeing exceptional colour fidelity of close to 100% sRGB. LATEST ARCHITECTURE DDR4-2400 MEMORY SUPPORT Get the best possible performance out of your notebook with support of the advanced DDR4-2400 memory, achieving over 32GB/s in reading speed and 36GB/s in writing. With over 40% faster performance than previous generations, DDR4-2400 is the new laptop standard to take your gaming experience to the next level. 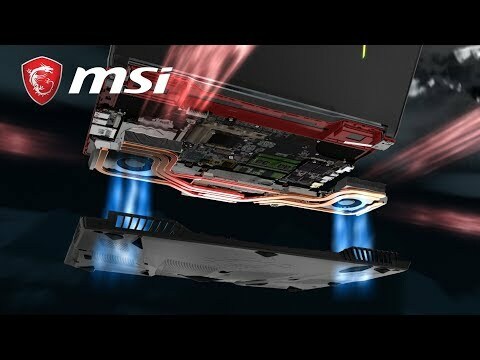 INTENSIVE REMOVAL OF HEAT The latest MSI Cooler Boost 5 excels as a dual thermal module, adopting dual Whirlwind Blade fans with 7 heat pipes and well-endowed 4 airflows in the revolutionary cooling module. It ends up efficiently driving exhaust heat out of the system, raising the cooling technology to the highest level of its kind. Designed for generating greater performance and lower temperature. FREE BUFF FOR YOUR RIG The redesigned Dragon Center 2.0 take optimization to a whole new level with the new redesigned Dragon Center 2.0 . Now it not only monitors but also optimizes system performance through various customizable profiles, and freeing up system memories to prioritize in-game performance. FOR NEXT LEVEL AUDIO IMMERSION Get ready to be amazed by the all new Nahimic 3 and live the gaming immersion like never before! With simple and intuitive new UI, the Nahimic 3 not only further enhances in game 3D surround sound, but also offers even more finite control over your music, movies, and conference calls. PROTECTING YOUR PING Stop losing games to lag with Killer DoubleShot Pro. Protect and prioritize networking traffic while preventing lag spikes so you can game without fear and play at your best. Select programs to prioritize to ensure maximum bandwidth and track your speeds with the easy-to-use Killer Networking Manager. Killer DoubleShot Pro consists of one Killer E2500 Gigabit Ethernet controller and one Killer Wireless-AC and improves average latency by 3.5 times compared with those utilizing 802.11ac. 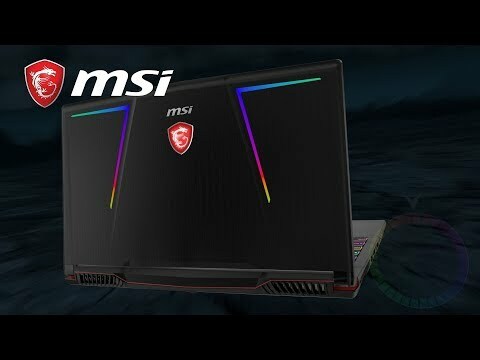 17.3" MSI GE73 Raider RGB 8RF-050, 120Hz FHD, i7-8750H, 16GB DDR4, 512GB M.2 SATA SSD+1TB HDD, 8GB GTX 1070, Win10 is rated 4.0 out of 5 by 1. Rated 4 out of 5 by AgentD from Decent update to the series from MSI Positives - been an MSI laptop customer for 10 yers - this is a good refresh - great spec, solid build and with some brilliant features - decent speakers, custom lights in the lid and on the keys. The screen is fantastic, 3ms and 120hz and great colour spec. Benchmarks at 6200 on timespy (passmark) which for a laptop is amazing. The negatives - bit loud. The i7-8750 processor gets pretty hot when running games, which means the fans crank up a lot to keep it cool, so not one for stealthy gaming. They work well though, and are very responsive. Am looking at undervolting or modifying the multiplayer which will help, but you shouldn’t have to really. Overall very happy - nice spec, looks good, runs well and much much lighter than my previous GT70. And goes without saying, the service from Scan was excellent as ever.